The fruity flavours of blueberry and aronia fruit are what sets this one-of-a-kind brew apart. As the flavours of these berries gently mingle with the fragrant green tea, this golden-coloured liquor refreshes you with its delicious fruity flavour. 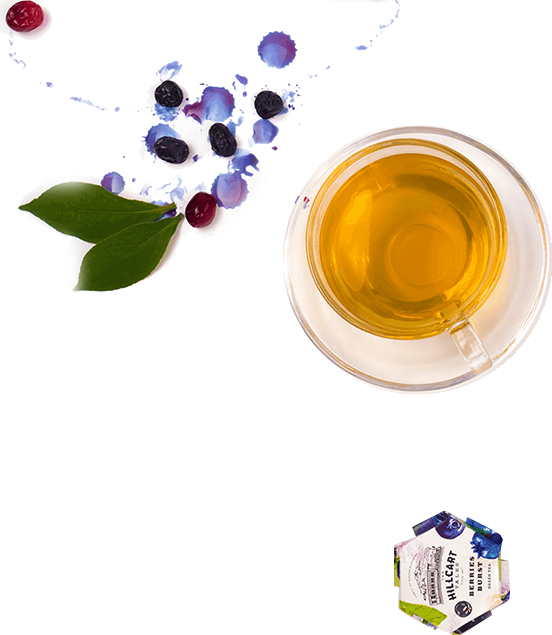 Packed with the goodness of vitamins, this sweet and slightly tangy tea will delight you with its barrage of flavours. Fruity notes of Blueberry and Aronia. A green tea with rich contemporary flavours, this perfect brew is best enjoyed on its own without any accompaniments. Best consumed anytime of the day. Savoured as a light brew with no milk or sugar. An infusion of dried chamomile flowers with floral scents and a piquant finish.